The blocks this week are named for Naomi and Judith. 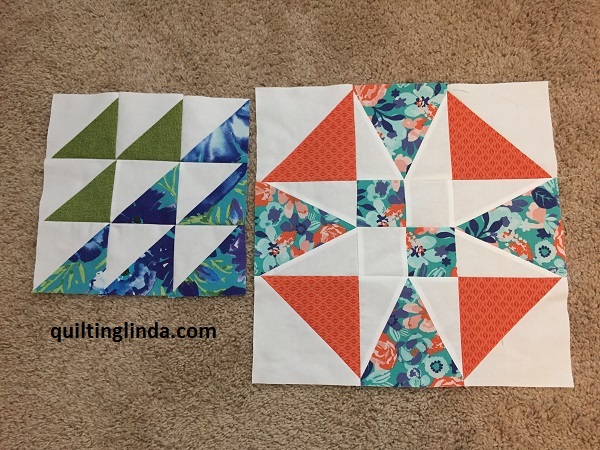 These were two quick and easy blocks. 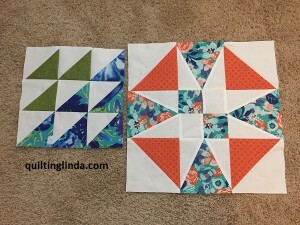 I did change the way I made the triangle in a square parts of the Judith block. I used my Tri-Recs tools instead of following the pattern instructions. It made cutting and constructing it much simpler. I wasn’t sure I would get them made this week after being sidelined with illness. I am finally feeling well enough to go up to my sewing room and work a bit today. I am also working on another quilt that has been in the UFO pile for years. I will post more about that quilt later. Here are the Naomi and Judith blocks.